Do you love to spend the wee hours of the night watching videos on social media or catching up on Bollywood news? If yes, then Opera has some very good news for you. 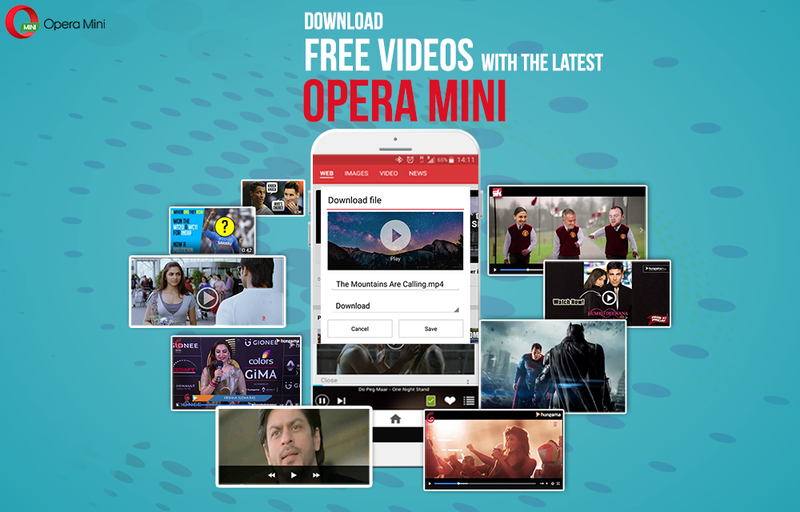 Introducing a new version of the Opera Mini mobile browser, which offers you Bollywood scoops, cricket buzz and video download – all in one package. Let’s show you what the new version of Opera Mini has in store. This one’s for the news junkies. 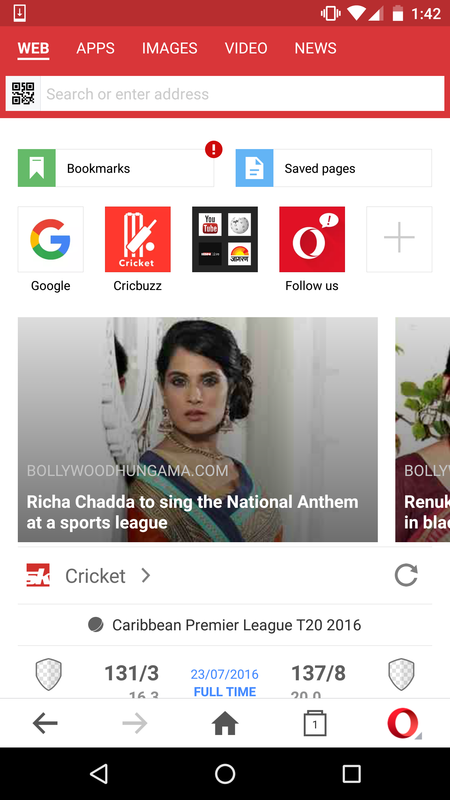 News has been an integral part of your Opera Mini browser, and now we offer something even more spicy and glamorous. 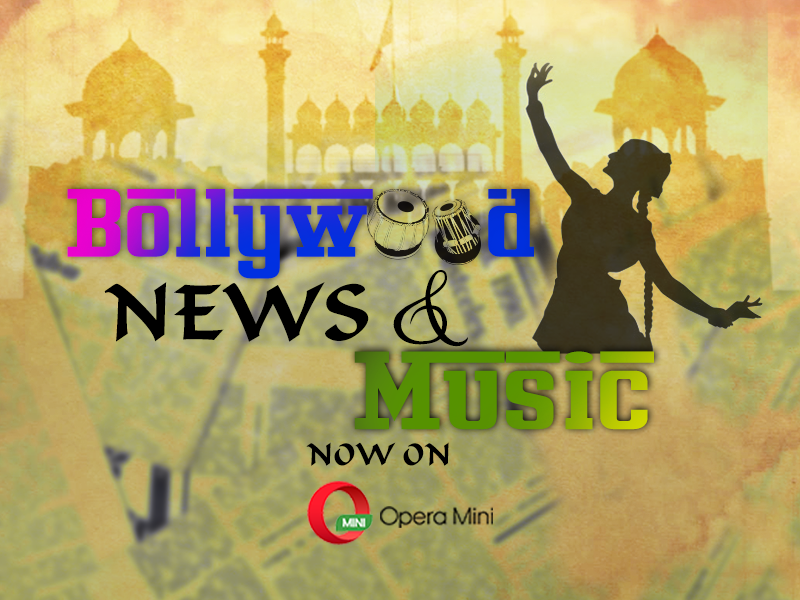 Opera Mini and Bollywood Hungama have come together to curate a Bollywood news feed right onto the home screen of Opera Mini. So, whether you want a peep into the lives of your favourite B-town stars or to get the first look at your favourite actor’s next movie, we’ll make sure you get it first and fresh. Missing out on the latest cricket scores because busy reading up on Shahrukh’s Eid party? We have a solution. 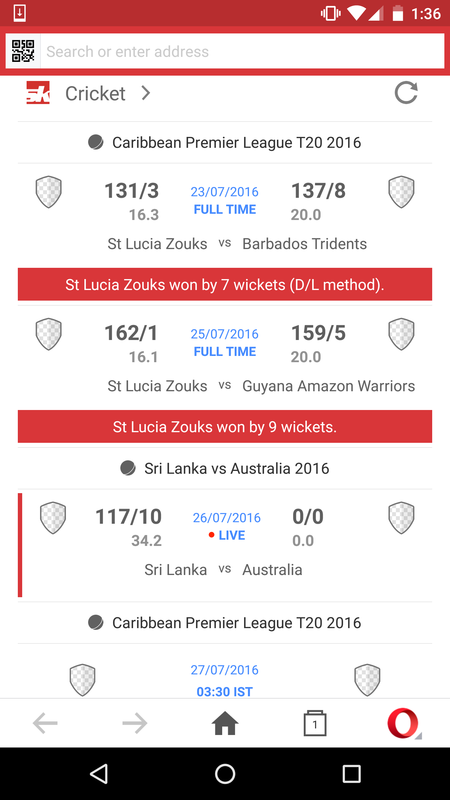 The new version of Opera Mini will also give you real-time cricket updates, thanks to Sportskeeda. After all, when it comes to Bollywood and cricket, we don’t like taking sides. Addicted to that funny cat video your friend posted on your social media timeline and can’t stop watching it again and again? 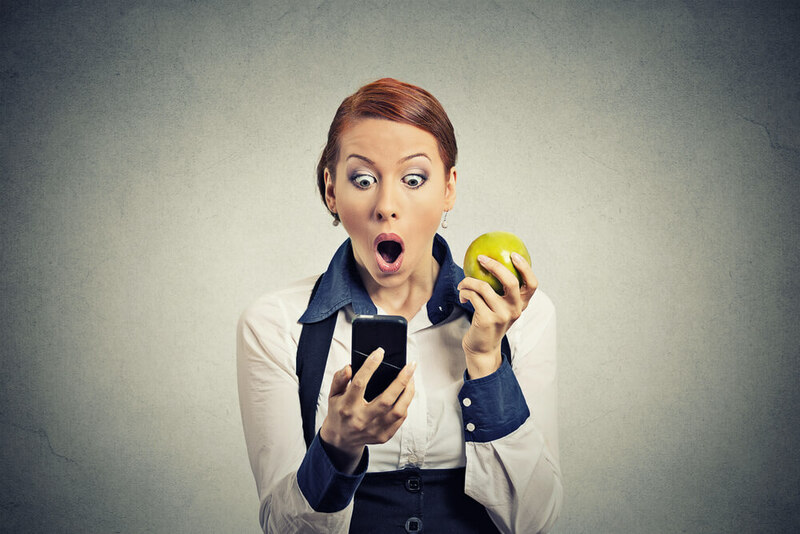 Why burn through your mobile data when you can download it for free to your SD card or phone memory? 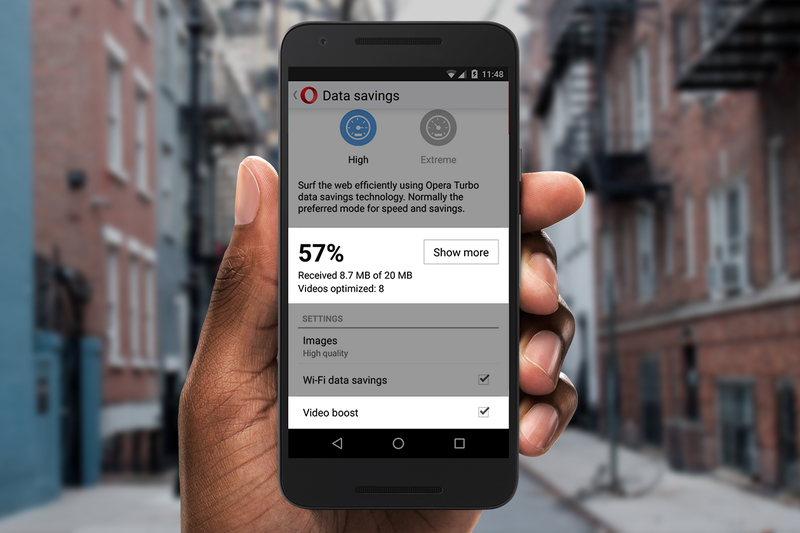 Opera Mini’s newest version promises just this and more. 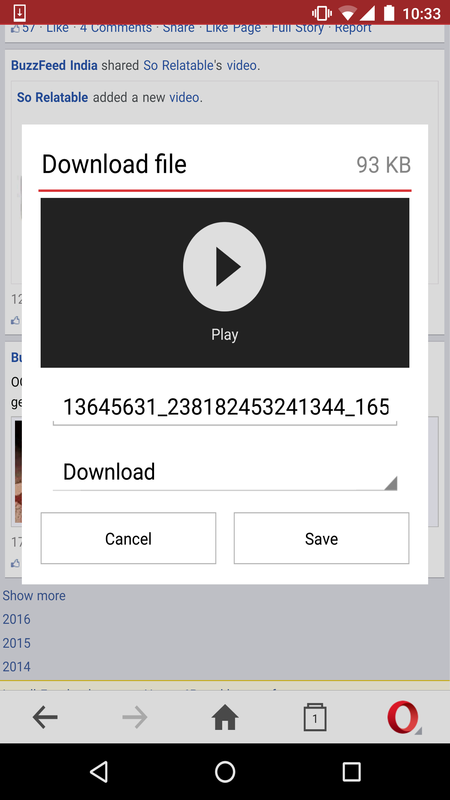 Click on the video and you’ll get the “Download file” option. Just save the video and it will begin to download. Experience the joy of watching uninterrupted videos even when you are offline. Some of your favourite websites like Vuclip, Hotstar, news portal Times of India, and a couple of top social media websites have been covered. You can now download songs and music videos directly from websites like Djpunjab, Indiamp3, Webmusic and Djmaza. No need to waste data on streaming your favourite video again and again. Save them on your phone and groove with them anytime, anywhere. Let there be no barriers when it comes to internet surfing!